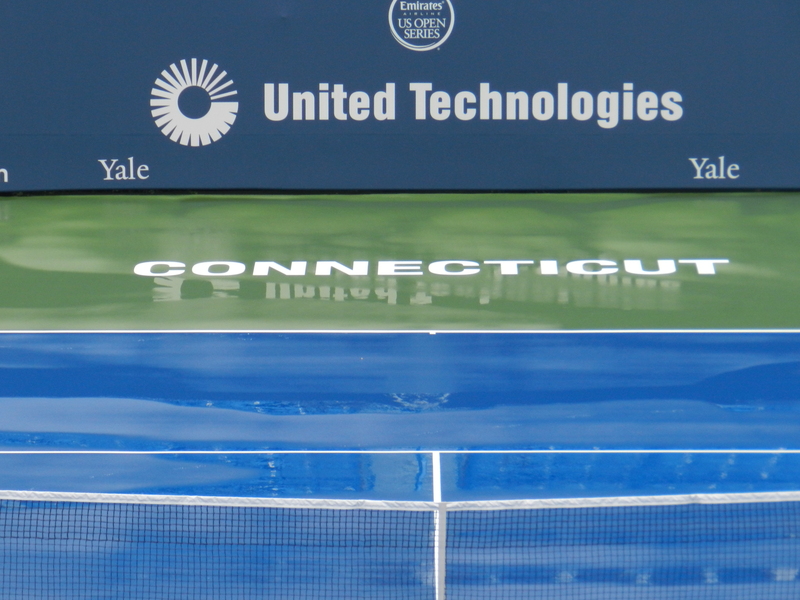 A 4 1/2 hour rain delay botched things up at the Connecticut Open in New Haven, but it didn’t ruin the day as most matches were played. Play went on until after 11:00 p.m. last night, but today’s forecast is sunny. By the end of the day, the tournament will be up to speed in time for Sunday’s qualifying finals and the beginning of main draw play. Agnieszka Radwanska assisted with the draw yesterday, which was moved indoors due to the weather. There were more people in the interview room for the draw (25) than there were fans on the grounds at the time. About 100 volunteers were huddled in tents, but they were out of sight. Tournament Director Anne Worcester explained that Alison Riske ‘gasped’ when she called her on the practice courts and told her that Riske had been awarded a main draw wild card. Well, Riske probably gasped again when she saw that she had to play four-time New Haven champion Caroline Wozniacki in the first round. Christina McHale must win twice today to move on to tomorrow’s qualifying finals. She’ll play Margarita Gasparyan at noon and the winner will face Laura Robson around 5:00 p.m.